We recently reported that we had noticed some 4G coverage creeping into the Oxford area on EE’s website. When we asked them about this, they replied stating that although there was some coverage, they didn’t consider a city to have officially launched until a certain percentage of the area had coverage. Well we are now pleased to report that EE have got back to us and as of today, 29 May 2013, 4G has officially launched in Oxford. 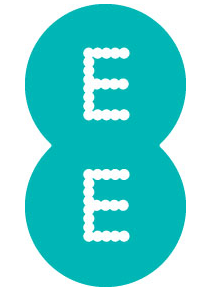 High Wycombe is also getting the official switch-on today, which means EE are providing 4G coverage in 74 towns and cities across the UK, covering over 50 per cent of the population in just seven months since the launch of the service. 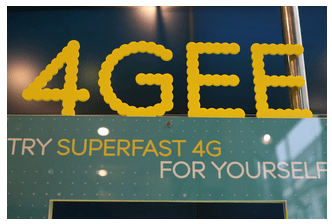 4GEE is available in 74 UK towns and cities today – Amersham, Ashton-under-Lyne, Aylesbury, Barnsley, Belfast, Berkhamsted, Billericay, Bingley, Birmingham, Blackpool, Bolton, Bradford , Brentwood, Bristol, Cardiff, Chatham, Chelmsford, Chorley, Coventry, Derby, Dewsbury, Doncaster, Dudley, Edinburgh, Gillingham, Glasgow, Harpenden, Hemel Hempstead, High Wycombe, Huddersfield, Hull, Leeds, Leicester, Lichfield, Liverpool, London, Loughborough, Luton, Lytham St Annes, Maidenhead, Manchester, Marlow, Merthyr Tydfil, Newbury, Newcastle, Newport, Nottingham, Oldham, Oxford, Pontefract, Preston, Reading, Rochester, Rotherham, Runcorn, Sale, Sheffield, Shipley, Slough, Southampton, Southend-on-Sea, St Albans, Stafford, Stockport, Sunderland, Sutton Coldfield, Telford, Thame, Walsall, Watford, West Bromwich, Wigan, Windsor, and Wolverhampton, and EE is aiming for 98% of the UK population to be covered by the end of 2014. We will post a link to EE’s full press release when it becomes available. Previous story TrueView–a high tech social dating website?